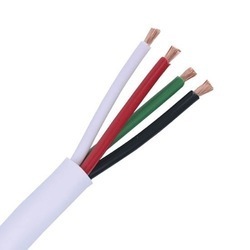 Supplier & Manufacturer of PVC Insulated, Solid and Stranded Aluminium, Copper Conductor & PVC Insulated, Solid and Stranded Aluminium/Copper Conductor. Nominal Cross Sectional Area Sq. mm. No. and Size of Wires (*) In mm. Max.DC CONDUCTOR Resistance at 2B C CURRENT RATING BUNCHED & ENCLOSED IN CONDUIT OR TRUNK1NG 2 CABLES, SINGLE PHASE AC or DC in Amp. Thickness of Insulation (Nominal) Min. # mm. Max. Overall Diameter in mm. 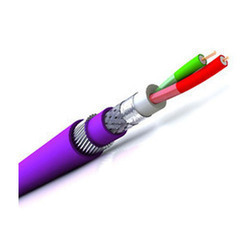 Looking for PVC Insulated Solid & Stranded Aluminium & Copper Conductor ?